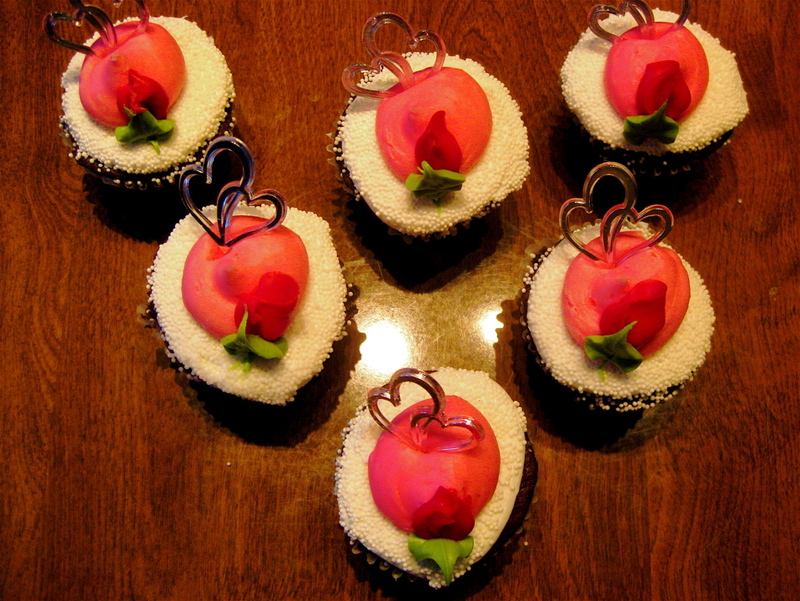 Valentine cupcakes: rich chocolate with white sprinkled icing and strawberry accents–and silver hearts! 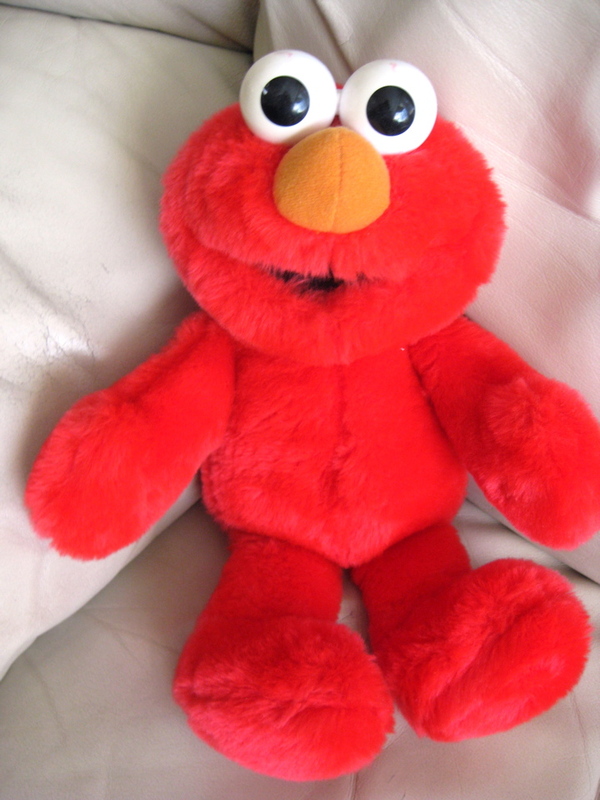 Hug him and Elmo tells you: “Hugs and kisses” ~ “Elmo loves you!” and he makes kissing sounds! Imagine a day many years ago, when a substitute filled in for one of the teachers in my elementary school. February 14th was a day of great expectations: home room mothers were bringing in cookies and juice for treats; construction paper hearts adorned the windows; and all the children’s decorated boxes were lined up at the back of the room, filled during the previous days with numerous little cards and greetings from classmates. Imagine, Mom, how one substitute made sure that no child was disappointed when it was time to read the valentines in the boxes. Who sensed which children might not receive many cards–the shy or lonely ones, those who were often left out of playground games, those whose boxes had very few greetings even on the day before—and who do you think played Cupid? 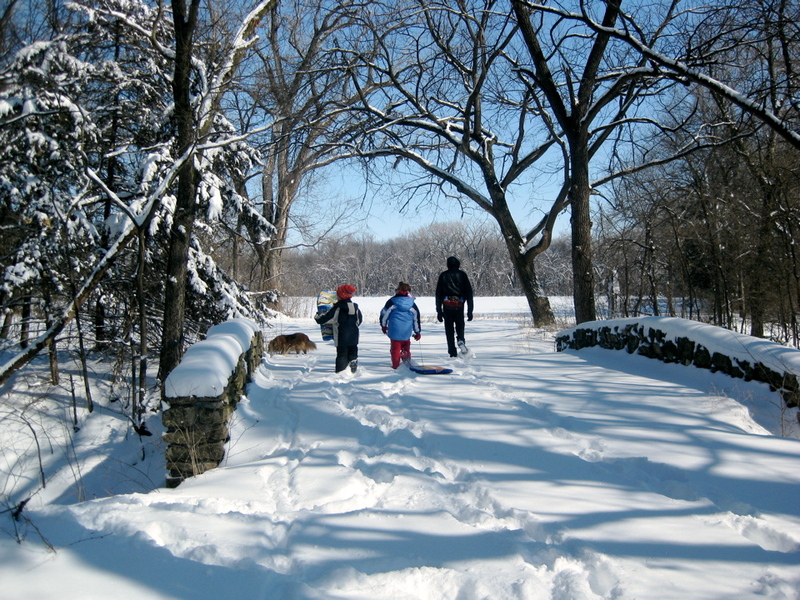 The night before Valentine’s Day, what if that one special person recruited me to help (I was an “older kid”–in 6th grade, I think), and what if she and I addressed two special cards for each of the children who otherwise might not receive many? 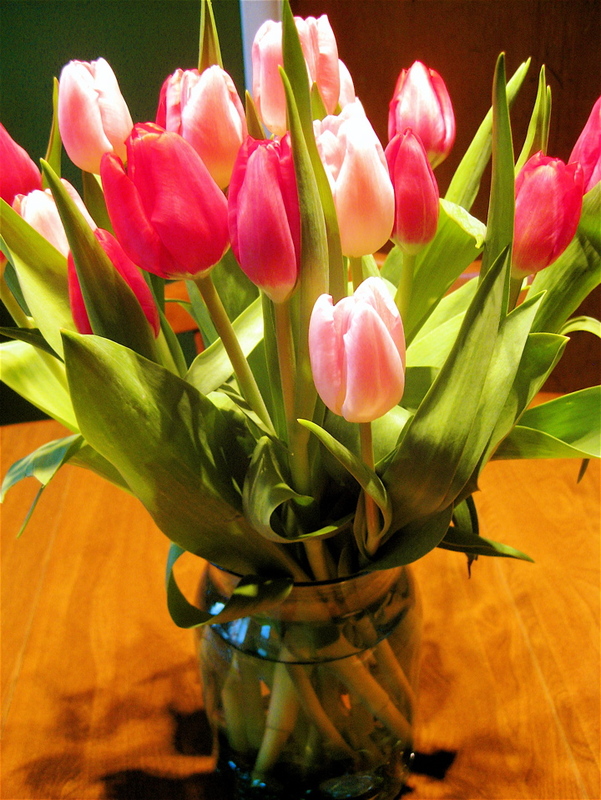 One was store bought, with funny cartoons and cute messages…and a sucker tied to the card with a ribbon. For each of these cards it was my job was to print the student’s name on the envelope with a crayon, and on the card I printed messages like “You are my best secret pal!” or “Happy Valentine’s Day to the nicest boy (or girl) in the class!” You were the special person, Mom, who gave me the job of being anonymously creative, and I loved it! The second card was one of the common little folded greetings sold in packs of a dozen at the dime store. Do you remember printing the student’s name on the envelope (writing like a kid), tucking the folded heart inside the envelope, and then adding little candy hearts printed with special messages. Five candies in each envelope! Do you remember how much fun it was to prepare these special valentines? You don’t remember the wonderful things you’ve done for children, Mom, but this Valentine’s Day story illustrates one way you cared for all children: your own children and grandchildren; children you helped in CASA and taught in Sunday School, in kindergarten classes, and wherever you encountered children of all ages. I remember, Mom, the difference you made day after day, year after year, with your full, kind and loving heart. I write this post so your great-grandchildren will know you better. John Updike wrote: “We are most alive when we’re in love.” Which explains why you have lived so long and been so content in spite of the dementia you have now…you’ve always been in love, with life and with children. Tomorrow is another Super Bowl Sunday. No, Mom, your great-grandson is not playing in the Super Bowl. 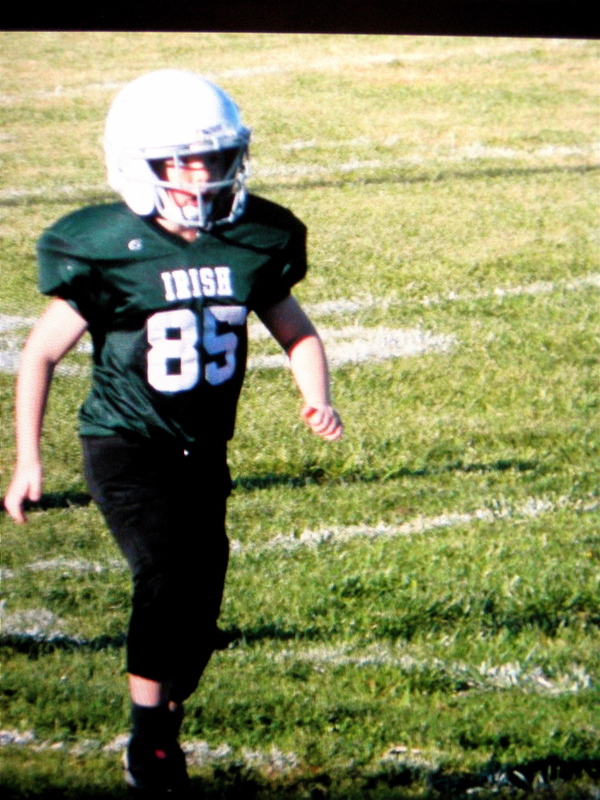 Gannon is only 8, but he’s our favorite football player anyway. If we want to whistle and yell, “Yea, Irish 85!” it’s okay. February is the shortest month, but it’s packed with special dates. Today, Feb. 3rd, is not just Super Bowl XLVII, it’s also the birthday of Sesame Street’s Elmo. Feb. 3rd, 1959 is known as The Day The Music Died, when Buddy Holly, Ritchie Valens and J.P. Richardson all died in a plane crash. As a reminder, Mom, here are some February birthdays of people you admired: Charles Lindbergh on the 4th, Rosa Parks on the 5th, and Charles Dickens and Laura Ingalls Wilder on the 7th. 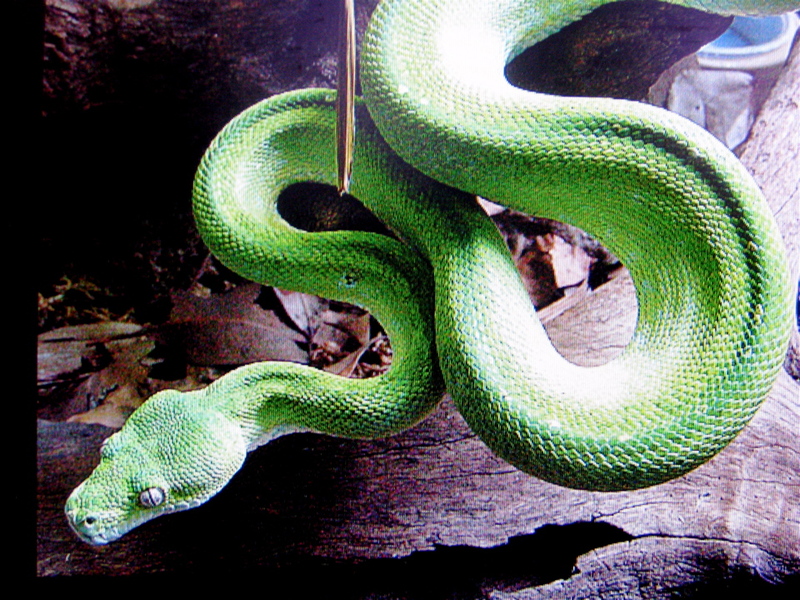 And to kickoff long celebrations, February 10th ushers in the Chinese New Year—the Year of the Snake. Our blog post last week, “Helping the Healing,” received numerous well wishes, funny and serious comments, and helpful suggestions from our readers and other bloggers. February is the International Friendship Month, and on your behalf I thank all these friends for their responses. To return the favor, I’m including some information and websites that might make life easier for those with Alzheimer’s and dementia, their caregivers and families, and for parents and grandparents with infants, children, and pets (yes, pets!) who have trouble sleeping. Next, these two CDs are carefully chosen and created lullabies set to the sounds of heartbeats. For fussy or frightened children, for confused dementia or Alzheimer’s victims or tired caregivers, the lullaby music played in the background is a big help. For canines–puppies adjusting to new families or for older dogs or those needing soothing music–the canine CD is excellent. And for something yummy: at my Thursday meeting with friends, we stumbled on an unusual, delicious mid-day drink that caregivers might enjoy after a difficult day. It’s hot tea, Spiced Chai Latte with cinnamon and cayenne pepper. Just enough spice to warm, inspire and reward you! So good. Finally, not to take sides on the Super Bowl…aw, forget it, I am taking sides. First, I’m married to a third generation Colorado native, so my first choice would have been the Broncos. But my second is the Ravens, for two solid, non-football reasons: First, as an English major, how could I not be impressed by Baltimore’s connection to Edgar Allan Poe: “…quoth the raven, nevermore…” Come on, how often does football have a literary connection? Second, in this year’s Super Bowl we have two brothers coaching…different teams. Jim Harbaugh is the coach for the 49ers, and his younger brother John Harbaugh is the coach for the Ravens. Speaking as a second child, a must-try-harder kid, I have to cheer for John. 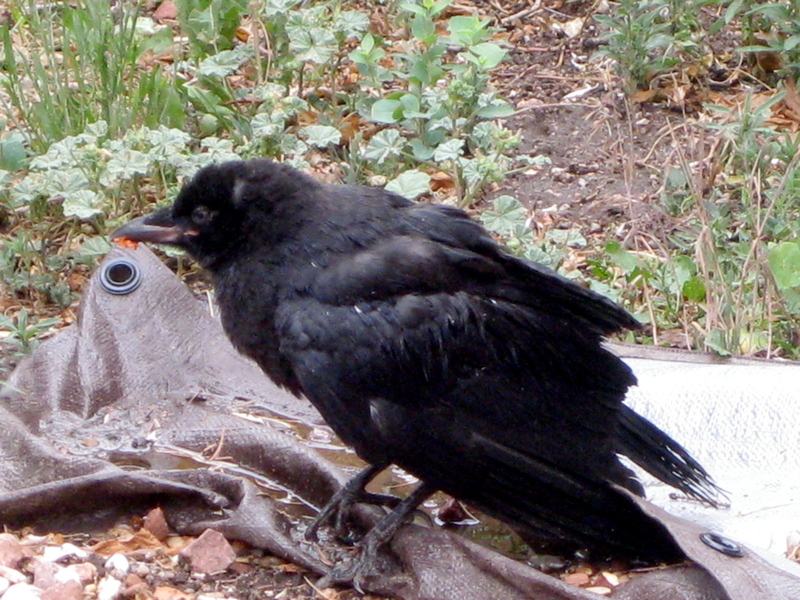 “…quoth the raven Nevermore…” –Edgar Allan Poe. Go, Ravens!